Claire Madden is a social researcher, keynote speaker and media commentator interpreting social trends and implications of generational change. 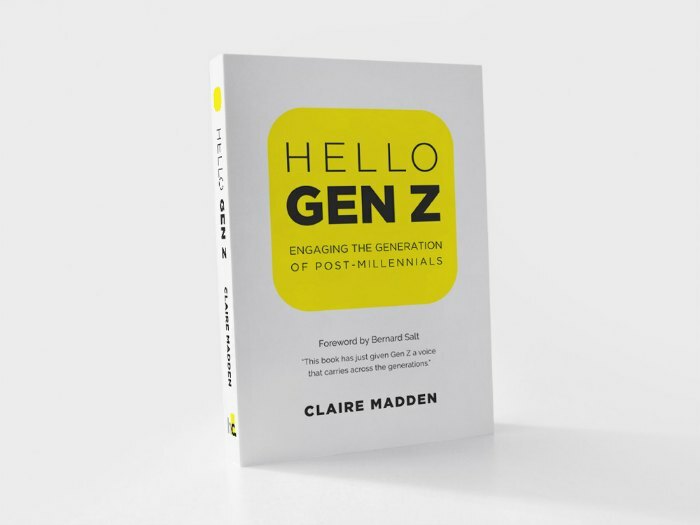 Claire has just released her latest book Hello Gen Z: Engaging the Generation of Post-Millennials, we are delighted to share an excerpt below. When asking Generation Z (born 1995-2009) to describe what has defined and what has shaped their generation, the overwhelming response was technology. It is not only the number of devices and how frequently they interact with digital technologies, but how technology has shaped their thinking, facilitated communication, redefined community, become core to their learning and become almost like a companion to them, which is extraordinary. As a generation raised in an instant society, they are conditioned to providing and receiving immediate updates on the lives of people in their network, even if the news or update seems somewhat inconsequential. For Gen Zs, it seems social media use is driven more by the desire to stay constantly in touch than it is about the announcement of a significant life event. For Gen Z, the frequency of communication over digital platforms plays a key role in building friendships and forming friendship groups. In the past, conversation or social interaction would largely cease when physically separated. Being in the same location is no longer a prerequisite for socialising. Gen Zs use social media platforms to connect with multiple people at once, investing in relationships even when apart. The prolific use of these technology platforms has shaped Gen Z’s expectations and approaches to communication, leadership, learning and work. Gen Z will not only be aware of the increased expectation for formal qualifications to give them an open door to career opportunities, but also the need to gain ongoing transferable skills so that they can adapt to new roles and jobs as they emerge. Just as they have adapted to rapidly changing technologies and platforms throughout their formative years, many expect that they will be working in jobs that are yet to be created. Gen Z are expected to transition between jobs and careers more than any previous generation, holding an estimated 17 jobs over five careers in their lifetime. Given the new realities, expectations, approach and goals Generation Z bring to the world of work, new approaches need to be adopted to cultivate an environment and promote pathways that effectively attract, engage and retain Gen Z.
Gen Zs are looking to make a meaningful contribution, and want to invest their time and energy in an organisation that facilitates this self-actualisation goal of making a difference. Organisations can be positioned to attract good talent through having a clearly articulated vision statement, along with intentional language that communicates the organisation’s unique employer value proposition. Generation Z place value on purpose. They care more about what the company stands for and the culture of the workplace than about how large the organisation is or how long it has been around. Their workplace is connected to their own sense of identity, therefore where they work and what they do matters to them. To attract Gen Z, a company needs to be good at telling their story, their purpose and the ‘why’ behind what they do. As is often said, culture eats strategy for breakfast. No matter how brilliant the strategic objectives or work plans may be, culture is the oxygen and lifeblood of an organisation. Culture is the environment that is created, that determines whether ideas will generate, take root and flourish, or whether they will be cut down, stunted and choked. Culture is the lived reality. Whilst a values statement might describe that ideas and contributions are valued if there is a culture where ideas are shut down, criticised or ignored, or if there is an underlying culture of competition, the true collaboration will be shut down. Gen Z will need to be lifelong learners, agile and adaptive to changing job roles and tasks, and responsive to new markets. With increased automation and computerisation, the jobs more likely to be safe will require high levels of creativity and problem solving, high levels of social interaction and emotional intelligence, and high levels of dexterity. These skills will be at a premium for Gen Z, and are key development areas to focus on. Soft skills such as face to face communication, interpersonal communication skills and conflict management skills will also be of great value. CEDA (2015), “Australia’s future workforce?”. 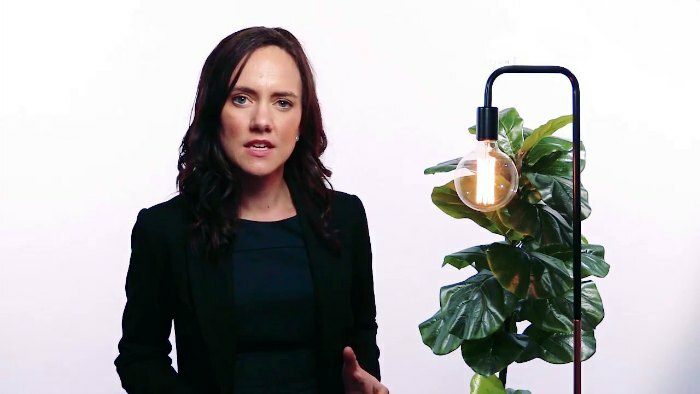 If you would like to know more about Claire Madden's keynote speaking or corporate training click here to submit your enquiry or contact us directly on 1300 55 64 69. As a social researcher and demographer, Claire is widely regarded as a leading voice on multi-generational engagement and emerging social trends by corporations, the media and the wider community. Claire is commissioned by some of the nation’s largest companies and leading brands to interpret the changing landscape and communicate the implications for business and society. As a keynote speaker, Claire is highly regarded for her dynamic and engaging presentations where she translates robust, research-based content into strategic applications for educators, managers and business leaders.